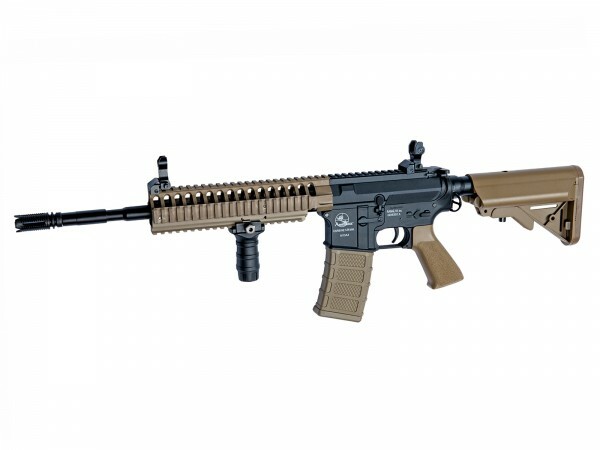 Introducing a new series of great valued airsoft guns with authentic Armalite markings, and in a variety of configurations to provide the players with more options in regards to looks and functionality. Each rifle comes with a Mosfet unit installed in the stock. 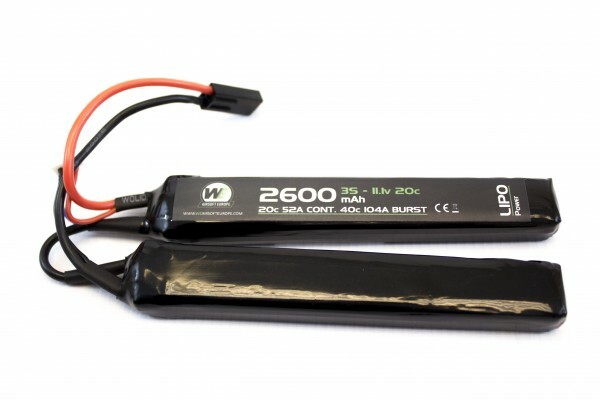 Due to the much lower electrical resistance in a Mosfet, it delivers a faster trigger response, higher Rate of Fire and elimination of switch burnouts. All models come with a 5 position SopMod stock with removable shoulder plate for quick access to the battery compartment. The sleek looking high-cap magazine is constructed from durable polymer in a contemporary design. The expert eye will notice that the new Armalite series offers three different upper receiver designs, one in metal and two in fiber-reinforced nylon as well as four different front guards. This results in four different configurations in either all black or black with desert tan fixtures, for a total of seven models to choose from. This is the ranger version features a heavy-duty designed receiver in fiber-reinforced nylon and two-piece quad-rail for a tougher look.